Originally known as Undercliff, the borough of Edgewater was renamed in 1899 to reflect its location on the scenic Hudson River. Over the years, Edgewater has continued to develop, and it saw marked residential growth throughout the 20th century. Historically known for its contributions to the American Revolutionary War as well as being the first colony founded in Bergen County, young and old residents equally enjoy Edgewater’s unique brand of accessible city living mixed with a small-town feel. 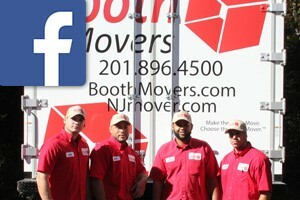 Booth Movers has been the premier choice for Edgewood moving companies since our founding in the 1940’s. Throughout the years, our reputation has grown through our commitment to high-quality service and exceptional customer support. Whether you are planning a local or long-distance move, our Edgewood movers have the expertise to get the job done right! Our Edgewater moving company is a trusted agent for Atlas Van Lines, one of the leading transportation companies in the industry. Through this affiliation, our Edgewater movers have access to a worldwide network of moving and storage professionals who are dedicated to helping you with every aspect of your relocation. Residential Moving – Wherever life takes you, you can count on our Edgewater moving company to get you there efficiently! Household Moving – For stress-free household moving, there is nobody better than the experienced team at Booth Movers! Local Moving – If you are relocating within the Edgewater or Bergen County area, Booth Movers is the best choice for all of your moving needs. Long-Distance Moving – For long-distance moves big or small, our Edgewater moving company has the equipment and experience to make it a stress-free process. Interstate Moving – Let Booth Movers help you make your transition to a new state an experience that exceeds your expectations! Full-Service Moving – From full-service packing to high-quality specialty moves, there is no better choice than our Edgewater movers! International Moving – When planning your international move, Booth Movers will ensure that each step of the process is handled professionally. Are you interested in finding out more about the expert team at Booth Movers? Give us a call today to hear about our Edgewater moving services, or fill out our quick online form to request your free estimate!